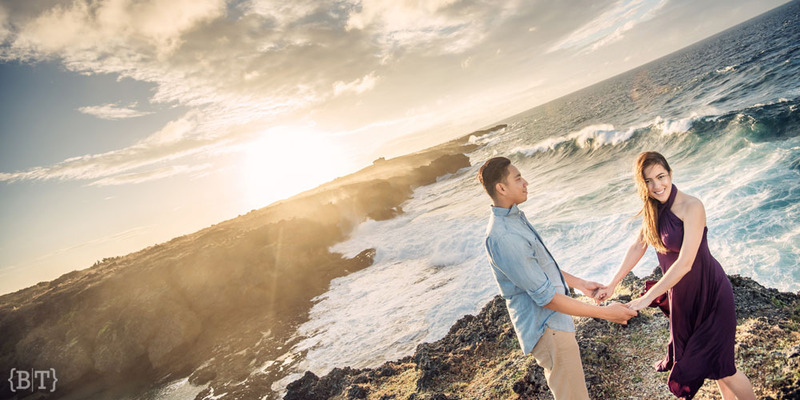 Itʻs no question that Sean and Karelʻs journey to forever has proved to be one of the most talked about stories in social media for the past couple of months. Case in point, their picturesque Ilocos engagement session, which was phenomenal as can be, and their poetic pre-wedding video that sure gave us the feels–trust us, we were there. After shooting their pre-wedding photos, all we could do is wait in excitement to cover their special union. And fast forward to December 1, we were just simply thrilled to the brim with joy as we witnessed the marriage slowly unfold. Where do we even begin? All wedding suppliers, check. Ceremony setup, complete. The wedding gown? Of course, it was perfect. Hair and makeup ready, guests begin to arrive, Sean waiting eagerly by the altar, and suddenly, doors were closed and the choir began to play U2’s “All I Want Is You”. All eyes were glued to the door and as it opened, a vision in white slowly emerged. The bride… we’re sure everyone can agree with us when we say Karel was unequivocally stunning, and that is not even an exaggeration–and you could say the rest was history. We could probably go on and on about the wedding from beginning to end–a lot of details to see and moments to cherish, but we’ll let these photographs do the talking now. Oh and by the way, if you were under the impression that their wedding wouldn’t be any more breathtaking than their teasers, well then, think again. Filled with nothing but love, beauty, and elegance, we give you no less than a love story. Welcome to Sean and Karelʻs first day in their new chapter. Believe us, this is one gallery that you wouldn’t want to miss. Enjoy!